We are one of the leading MG Rover repair and tuning specialists in the UK, located in Bradford, Yorkshire, with members of many of owners clubs and forums using our services not only for performance tuning, but general repair and servicing too. Our services include a variety of possible engine and running gear conversions, including the popular MG ZR T16 turbo conversion and 1.8 k sries turbo conversion. 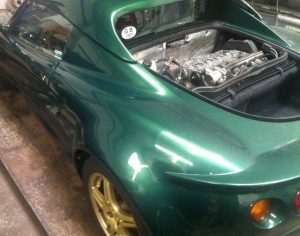 We offer K series head gasket repairs including timing belt, water pump, head skim, coolant/oil change on the MG ZR ZS ZT TF MGF, Rover 200 400 25 45 75 Metro Streetwise, Lotus Elise, Landrover Freelander and Caterham 7 at competitive prices. We are able to code keys, remote fobs, ECU’s and configure SCU’s and 5AS units using our T4 Testbook. 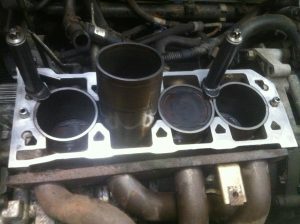 We can also test and replace ABS units, as well as make repairs to Pektron SCU’s as fitted in MK2 MG ZR, ZS, 25 & 45’s. 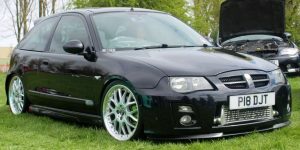 We sell performance parts for these vehicles via our online shop, for example our custom Gaz coilovers for the MG ZR, or our forge pistons and klinger head sets for the rover T16 t series turbo engine. We keep a variety of parts in stock for when we rebuild T16 or K-series engines, as well as a variety of spares (both used and new) and shims/steel caged bearings for the PG1 gearbox. If there is any work you need, give us a call or email, we will give you a quote, be it for a service or anything up to a custom engine conversion.